Using voltages and electric fields instead of magnetic fields or electric currents is a new approach to control the spin in solids. Multiferroic materials exhibiting magnetic and electric ferroic order offer a unique possibility to change the orbital quantization axis of the spin by an electric field. Due to the fact that only a voltage is applied but no current flow is needed (aside from the charging current) high speed switching at very low dissipation levels can be realized in scalable device architectures. We use multiferroic BiFeO3 (BFO), which is a ferroelectric and an antiferromagnet, in combination with a ferromagnetic overlayer, as a model system to realize emergent spin phenomena and to modify the spin state by an electric field. The antiferromagnetic layer couples via the exchange interaction to the spins of the neighboring ferromagnetic layer, which acts as a detector for the magnetization direction. Using Pulsed Laser Deposition we create epitaxial thin film heterostructures of multiferroic BFO and magnetic oxides. These thin films structures are ideal candidates for investigation of the physical properties and will be required for applications in magnetic memory systems. 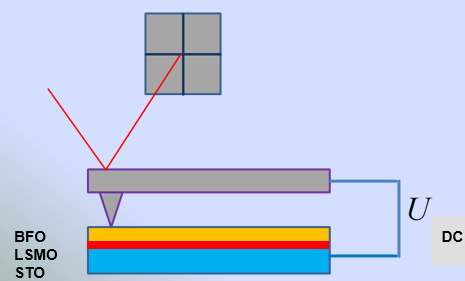 The ferroelectric properties of the thin film structures are demonstrated by piezo force microscopy, where the polarization state is written and read by an atomic force microscope with a conducting tip (Piezo Force Lithography) on a nanoscale. Our recent investigations of x-ray resonant magnetic reflectometry (XRMR) and transmission electron microscopy (TEM) on SrTiO3-BiFeO3-La0.67Sr0.33MnO3 (STO-BFO-LSMO) and STO-LSMO-BFO samples question the validity of the published model based on orbital hybridization. 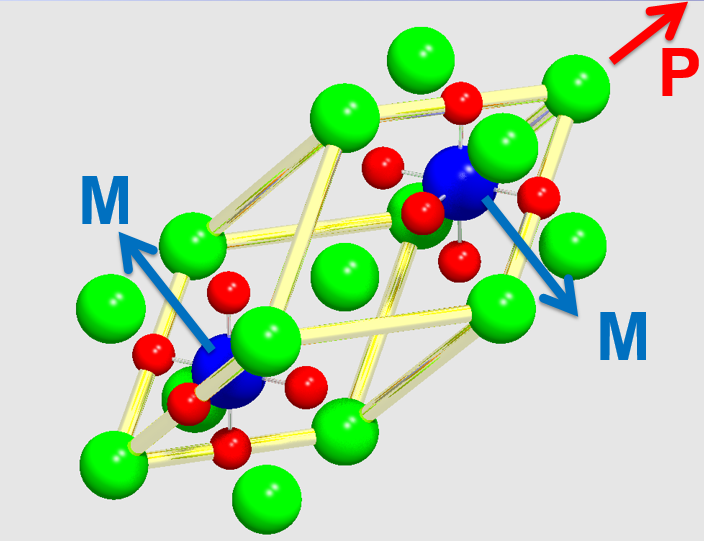 With the spectroscopic method XRMR we are sensitive to the element specific magnetic moments. We found an induced ferromagnetic Fe moment in the BFO only for the rough interface with LSMO, while it is absent in the sharp interface. This finding is corroborated by measurements of the exchange bias on a larger number of samples. The reason for this discrepancy to the results from other groups is not clear yet. However, as we find the magnetic coupling in the sample with the rough interface, insufficient sample quality of our samples can be ruled out. 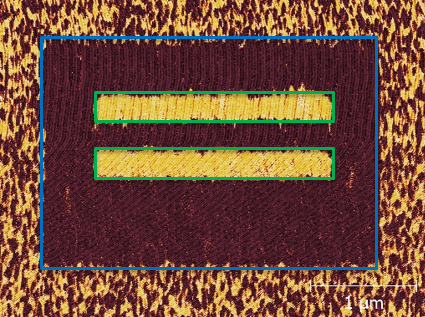 Figure 4: XRMR and TEM on BFO-LSMO interfaces. The comparably rough (STO)-BFO-LSMO interface on the left shows a clear magnetic asymmetry at the Fe L3 absorption edge, which is absent on the very sharp interface on (STO)-LSMO-BFO (right).